I felt pretty ashamed that as a Native Floridian I had never heard of The Mai Kai until Twitter. 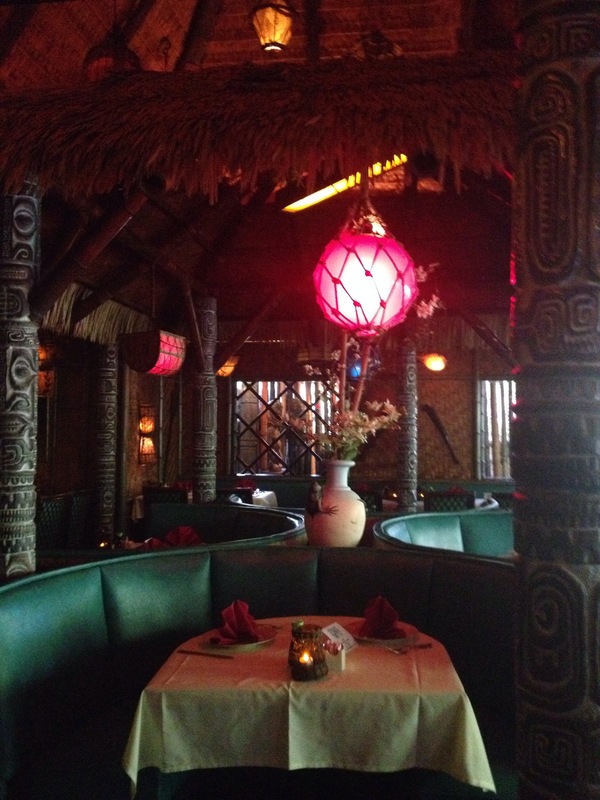 All this time I’ve had an incredible Polynesian, tiki restaurant and bar just a few hours away. I planned a great girls’ weekend in South Florida and The Mai Kai quickly became one of the highlights of the trip. Admittedly I need to spend more time in Fort Lauderdale and after a wonderful evening at The Mai Kai I definitely want to spend a weekend enjoying this part of South Florida. The Mai Kai pops up onto Federal Highway amid office buildings and other unassuming, boring buildings. Row after row of concrete and steel structures give way to the exotic wood and tiki torches of the Mai Kai. 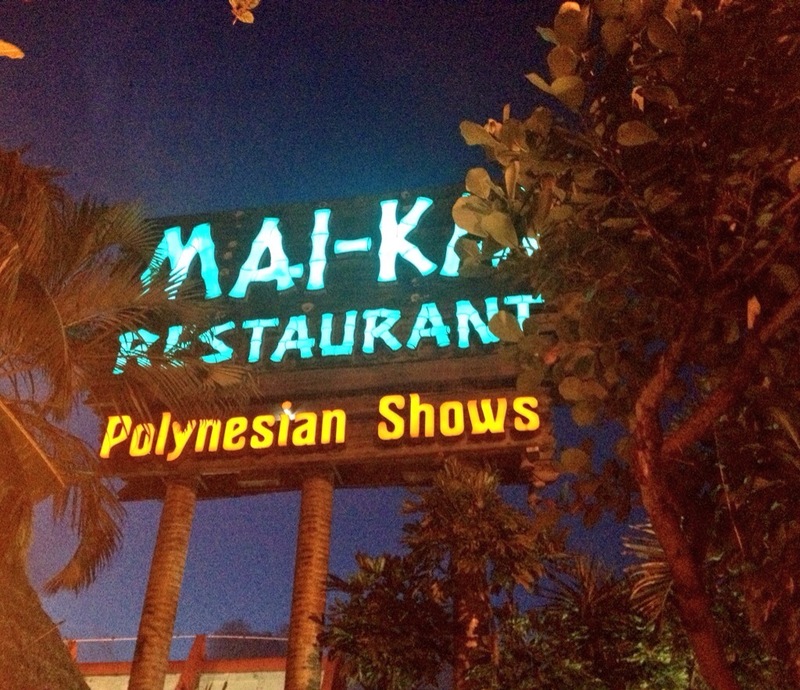 The tall, neon sign appears to have been unchanged in the 60 year history of the Mai Kai. We pulled into the covered driveway in the early evening hours and opted for self-parking for $5 instead of valet for $10; this early in the evening there was still plenty of parking available in the self-parking lot. Before entering this Polynesian paradise I had to walk around the front to get a better look at the sign, the tropical gardens and tiki torches that burned brightly even in the Florida sunshine. As we walked around the front parameter of the building I noticed water flowing down some slanted windows, my curiosity piqued. As we entered I was taken aback, having to adjust from the bright Florida sunshine into the deep, dark lighting of this exotic locale. A velvet rope separated the dining room and stage floor from the host stand and impressive bar on the left. We decided to enjoy the bar rather than experiencing the dining room and floor show. My eyes immediately grew as wide as saucers. Everything I had ever imagined about a real, authentic Polynesian tiki bar lay before me. Palm fronds created a thatched room along the bar itself. Nautical details seemed to cover every last inch of the room. Incredible light fixtures of all shapes and colors cast a low, relaxing light. The sun peeked through the water that flowed along the surface of every window, adding to the illusion that we had all entered an enchanted and exotic land. 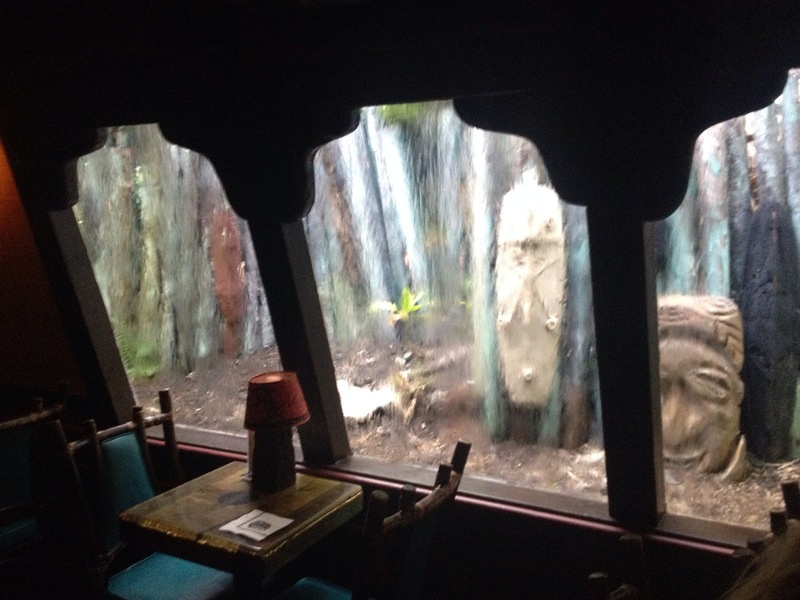 Our table was the smallest dining table I’ve ever set eyes on, but we were in a great corner where water flowed in and a seating area like the bow of pirate ship loomed next to us. We could see the entire bar before us. To my absolute surprise and delight we learned that we had made it to happy hour! Practically every single drink was half off! 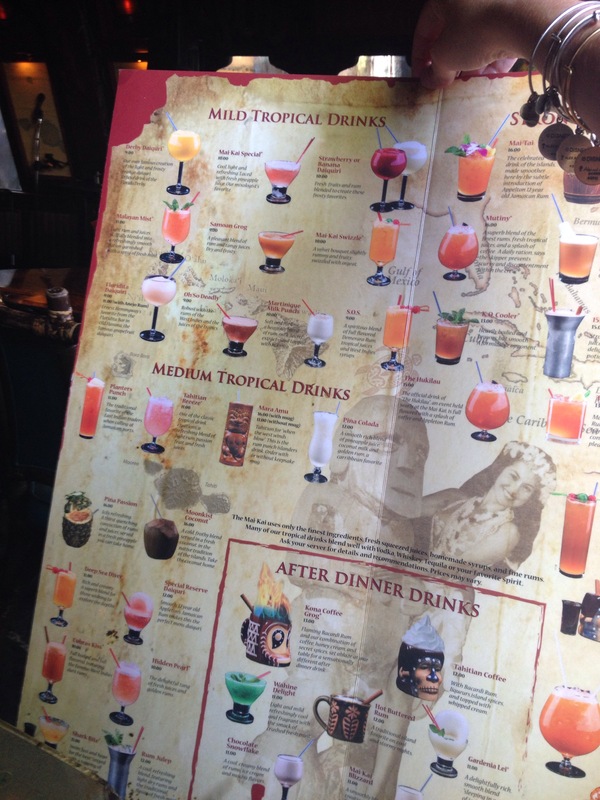 The drink menu astonished me, the largest I’ve ever seen in my life. Thanks to the magic of Twitter and asking for input from others before my visit, I ordered the Barrel of Rum. Immediately it reminded me of the Shipwreck, the first beverage I ever enjoyed at Trader Sam’s Enchanted Tiki Bar at the Disneyland Resort. If only I could keep the barrel mug it came in. Sipping on the tropical concoction of fruit juice and rum, my eyes feasted on the décor. There was no doubt in my mind that both the Trader Sam’s at Disneyland and Trader Sam’s Grog Grotto at Walt Disney World were inspired by this place. And just as the thought solidified in my mind, I caught glimpse of a couple wearing Trader Sam’s Grog Grotto shirts. I decided to invoke my bubbly side and introduce myself to the couple and ask if I could get a picture with them. Little did I know the couple are members of the Fraternal Order of Moai, a fantastic tiki social group who attend events together and fundraise for impoverished communities. Tonight was my lucky night because the Order was hosting a private event at The Mai Kai to raise funds. They kindly adopted myself and my friend into their event and allowed us to order their special cocktail tasting selection. 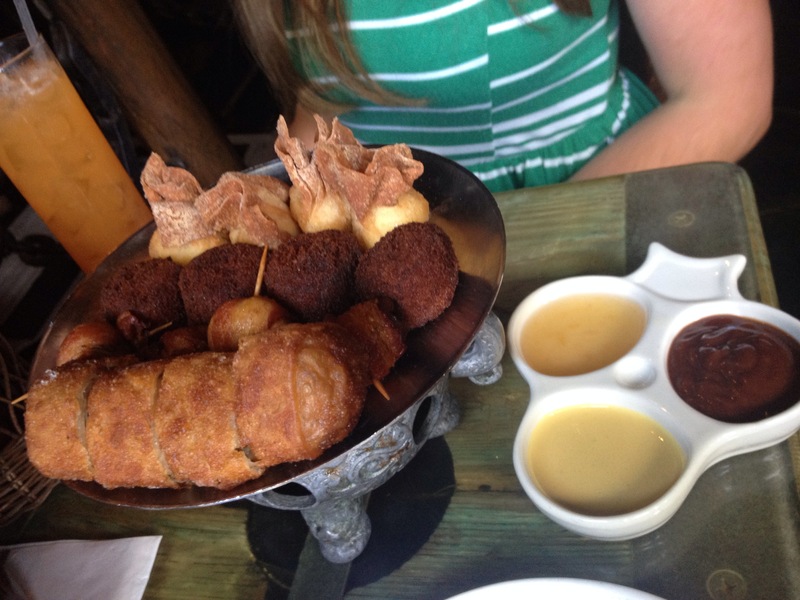 We continued to sip on our first round and nibble away at the Pou Pou Platter. The Crab Rangoon melted in my mouth with sumptuous chunks of crabmeat. Full of savory flavors the Cheese Tangs were a surprise hit for me. I further slipped away into the Polynesian paradise. I continuously smiled as my eyes scanned over the room and the atmosphere had officially enveloped me in contentment. After the first two sample size cocktails from the special event menu, I practically swayed back and forth in my chair. Enjoying good conversation, good drinks, and an incredible atmosphere it was difficult to imagine it could get any better. Then our new friends, who are regular patrons of The Mai Kai offered to give us a tour. 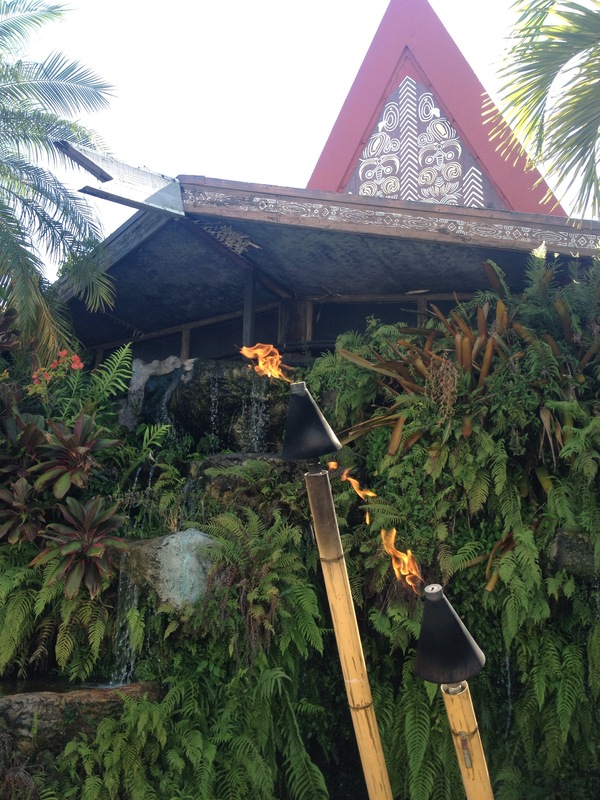 Each dining room named after a different Polynesian isle or tiki god, surrounds a larger dining hall with a stage at the front of the room and cascading waterfalls and caverns. I enjoyed seeing practically every room filled with delighted guests, enjoying themselves. Our generous new friends lead us outside to stroll through the winding walkways of the gardens. 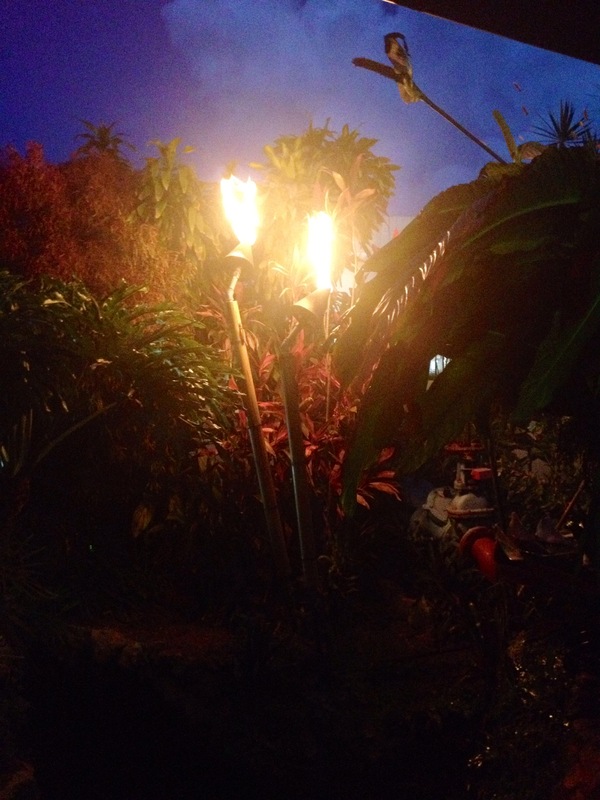 Tiki statues and totems peeked through the lush flowers as waterfalls cascaded down rocks and caverns. It was enchanting. The grand finale of our tour came as we entered the back of the house. With the blessing of the Mai Kai managers we entered the kitchen area to discovere a treasure trove of rare and exotic rums. The shelves lined the entire length of the room, with the highest shelf housing the rarest of the rums. 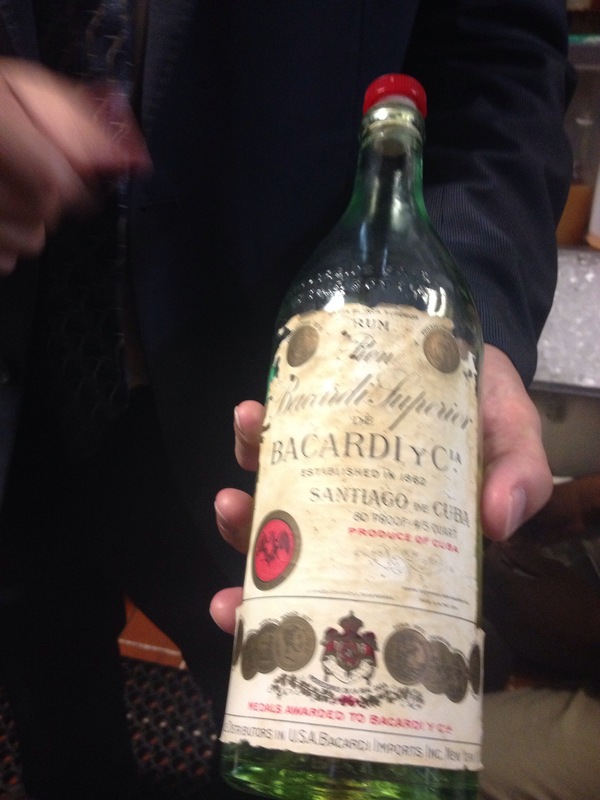 We were shown a bottle of Barcardi made in pre-embargoed Cuba. The aged label showed wear and tear, yet the bottle still had the appeal of a rare gem. Soon we returned to our seats and engaged in lively conversation. The third round of the sample tiki drinks quenched our thirst, yet one last round beckoned. 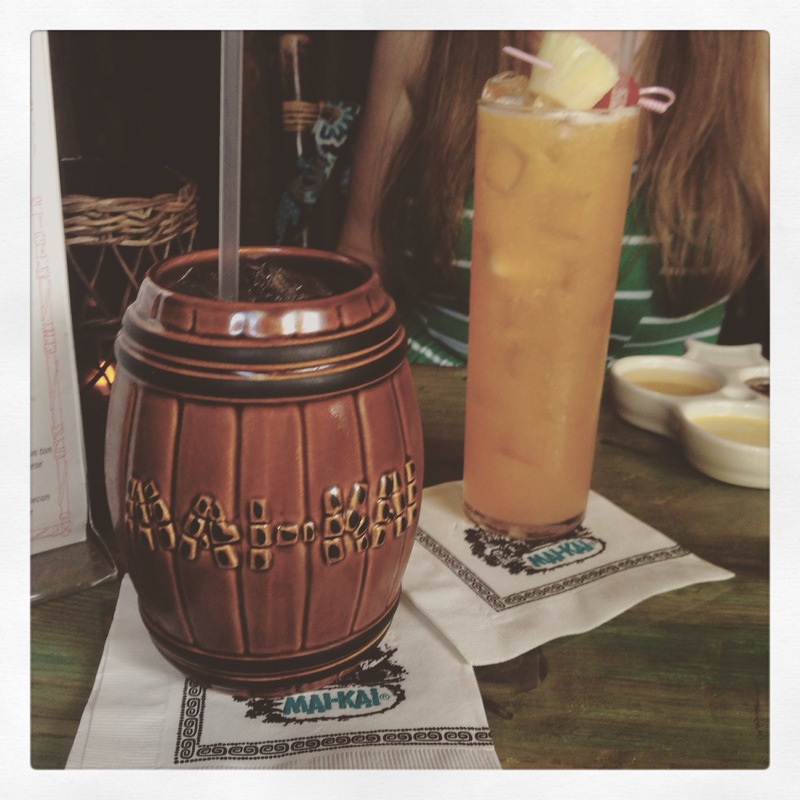 I had to order the Mara Amu, the only tropical libation that comes with a souvenir tiki mug. As the live music began and the sun started to set I realized we had fallen into a trance of sorts. Time had been a lost concept to us, it was as if we had fallen victim to the Siren song. We had spent over 4 hours reveling in The Mai Kai. We bid our farewells, reluctantly, and decided to take one last stroll through the gardens. I couldn’t resist the urge to call my husband and urge him to plan a weekend for us to come visit Fort Lauderdale together, mainly just to visit The Mai Kai. For anyone who loves tiki culture, great atmosphere, or to experience a small piece of modern Florida history, I highly recommend a visit to this gem. You’re sure to enjoy warm Aloha hospitality. Mahalo plenty to everyone at The Mai Kai! It was Aunt Aileen’s favorite place. Went there many times! Glad you got to experience it. 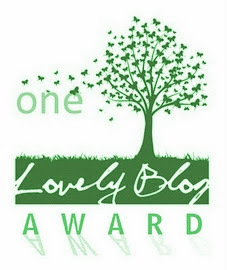 What a great article!!! It was almost as if I was there with you! I haven’t been yet, but I will one day soon, as it has been on my list for about 10 yrs now. You’ve inspired me, my fellow tiki aficionado. Thanks for sharing your great experience! Thanks for your kind words. I am glad you enjoyed it. 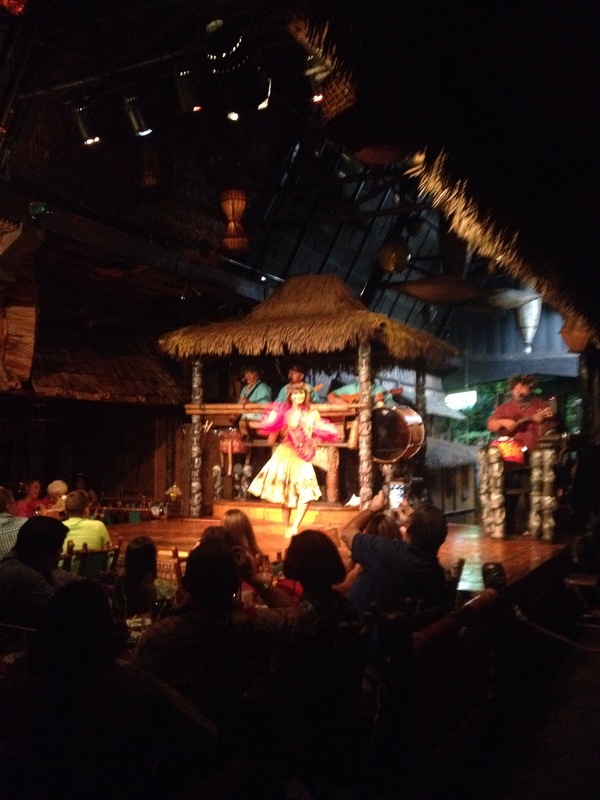 Definitely make sure you go visit Mai Kai sooner than later!